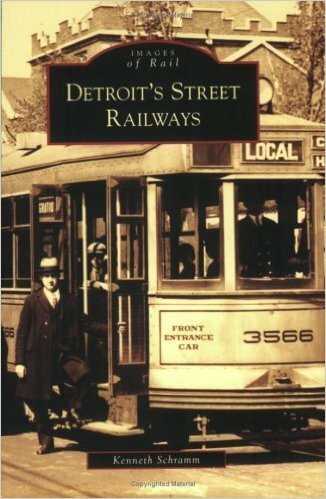 Detroit's Street Railways tells the story of public transportation in the Motor City. Dating back to 1863, when horse-drawn streetcars serviced the citizenry, public transportation in Detroit has a proud and colorful history. 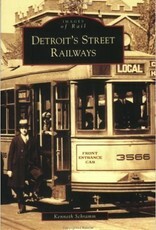 Early on, a host of streetcar companies carried Detroiters about their daily business. This period was followed by consolidation into one company, the Detroit United Railway, and later the establishment of the municipally owned Department of Street Railways. The Department of Street Railways, established May 15, 1922, inherited a vast system of streetcar lines throughout Detroit, the first city in the United States to establish municipally owned transit system. It was a leader and innovator in the transit industry, with continued streetcar service until April 8, 1956, when the last streetcars on Woodward Avenue were replaced by buses. When the Department of Street Railways began coach operations in 1925, the intent was to provide feeder service to the established streetcar lines, as expansion costs were prohibitive. Sadly, the program implemented to complement the city's streetcar operations led to the demise of the streetcar as the principal mode of transportation in the Motor City.